Reus Imperials of Spain have a long history that goes back to 1989, with the first game being played in 1991. 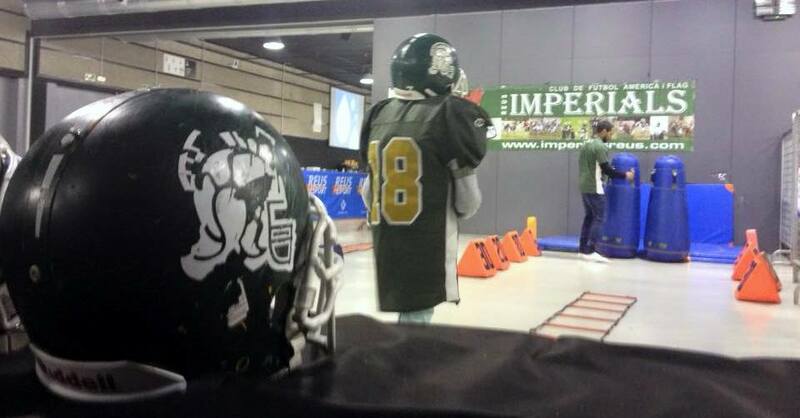 With signing of Head Coach Bart Iaccarino, within 4 years, Imperials moved up to be one of the top teams in Spain. Imperials have a great story to share, so, we reached out to Coach Iaccarino to give us more insight. The Imperials started promoting American football in Tarragona, city that's only 100 km on south from Barcelona, in the 1989. Since the beginning, team had a great success in the area thanks to the presence of the Barcelona Dragons, founded just couple years later, and the increasing of the sport in Spain, where the Tarraco Imperials was the only organization in the south of Cataluña. Due to scarcity of installations and complexity in finding a field where to play and practice, the Imperials moved to Reus in 1991. We practice in great facilities with last generation turf. We are very lucky to not having to pay for it. The city of Reus do not support us with funds, but they give us field(s) to use for free. We know that is a great deal, as our junior and senior programs practice 3 times a week. Our objective is to increase to 2 more weekly practices for lifting program; as all of you know it is really difficult to do that, but step by step we are changing the sport mentality in our country. We usually buy equipment from Germany or straight in the US, and we're always looking to find the best deals. The team participates in the Catalan league since the first year of competition until the 2013, winning the competition 8 times, 5 in the last 8 years. In June 2012 the team hired new management and new project, signing Head Coach Bart Iaccarino for a 5 years contract. The team moved from regional league to the first division in only 4 years, competed in the championship every season since 2013. First season in the top national division was a shock: you face to the top of national teams as Firebats or Dracs and you pass to win 10 games in the row to lose 7 in one season, but sometimes you win and sometimes you learn, and our organization learned so much in the first season in the “Serie A”. We reached the goal to maintain our position in the division in our first year. That’s something that nobody did before, as all teams who moved up from Serie B to the top went back straight down on the next season. 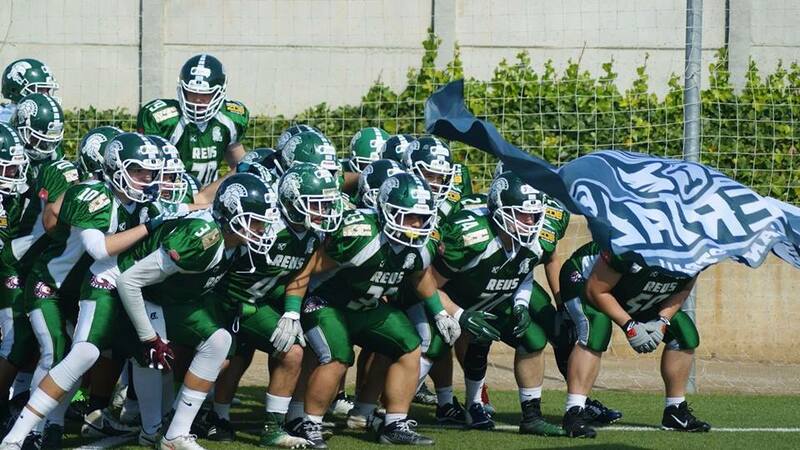 We arrived to the semifinal in our first year, losing against the national champions Badalona Dracs 49-3. Reus Imperials have a very young group of guys; we are so proud of our junior programs, more than 50 kids between 8 and 19 years are involved in all different teams we have. The goal is to move each season at least 4-5 guys up to the senior program and reduce in the next 2 years the average to the 21-23 years old. As you know nobody likes to lose, and especially if they have to practice 3 times per week, plus game, and pay around 500€ per season between team monthly and the federation fee. This season we are facing with a regeneration of our senior team, we moved up 8 juniors plus 16 veterans and 4 imports, so we will have a short roster of 28 players for the 2017 season. With our new uniforms we will have the best look in the county!! Since 2013 every season our organization sponsors between 3 and 4 guys from orphanage or with conflictive problems, we sustain their activity during the entire season and make them part of our family. One of the first guys who was the first one to take a part in this project, Axel, is now a starter on our senior OL with only 18 years old. This program helps guys to integrate in a big group as a football team, with no class difference. I can tell you that the base of our sport as discipline, respect and honor are guideline for their future life and it helps them to integrate in the society. Besides that, we have a yearly campaign to donate blood, we organize twice during each season a food collection at our home game, we promote AF in all schools of the district (thanks to this we worked with more than 6 thousand kids in the last 4 seasons). We try to be an example in our community. The big project is to create our own football Academy in the next couple of years. This season we built a new football school in the city of Hospitalet de l’Infant at 28 km from Reus, the “Centurions”, and the goal is to have more schools in the closest cities as Tarragona, Valls and Salou. We think that it is easier to move 2-3 coaches in one city nearby to create a new program, than to move 2-3 kids to our football school. We want to reach the goal of 5-6 teams and create our own low cost league, playing every week in a different town. This will mean also more families to the senior games, more kids involved in football and an increase of possibilities to have more players every season moving up to the senior program. Our main sponsor sustains only 20% of the total amount for one season, and the rest of the income arrives from player’s fees, merchandising, members, smaller sponsors and collaborations that we close each season. City of Reus, as mentioned before, gives us free facilities. Here in Spain - it is so difficult to find big sponsors who want to invest in American football, as soccer gets all of them, and the others are doubtful in financing a sport that in most cases they never heard about before. Fortunately we sell a totally different product: we invite the new sponsor or small collaborator to our home games, where we have cheerleaders, DJ, speakers, raffles and the atmosphere is totally different than a soccer game in Spain, where parents try to kill each others. We show them that Imperials brand is different and the image of their brand will be associated to a familiar and clean atmosphere, and our motto is that we are the only one who fights and we only do so on the field, while on the stands - fans have a good time "only"!